AN avenue of “lit bollards” running through the Meadows is among a range of new safety measures being considered after a woman was raped there late last year. Large signs at entrances saying “You are now entering the park” – which would remind users to stay alert – and the cutting back or removal of foliage are also being planned. But the Evening News has learned that the installation of dedicated CCTV cameras will not be pursued amid concerns the equipment would not produce usable images because of the park’s dense tree canopy. A pro-CCTV petition that was launched after a 19-year-old woman was raped in the Meadows in the early hours of November 15 attracted more than 2500 signatures. Worries surround the cost of CCTV, with figures showing that providing just two cameras could mean a bill of up to £80,000 as the city battles to balance the books. Community leaders acknowledged that local residents were still feeling “apprehensive” after last year’s “horrific” attack but said there was little point in installing expensive equipment without a guarantee it would deter crime and help catch offenders. Heather Goodare, convener of the Friends of the Meadows group, said: “We were persuaded that it was not going to be very effective – but I think the main thing was cost. “The council is stuck for cash and the whole enterprise was going to be so costly. I have suggested to [managers at] Quartermile, which has CCTV along its fence, that they could put up notices stating this, which would help, at least along that part of the Meadows. 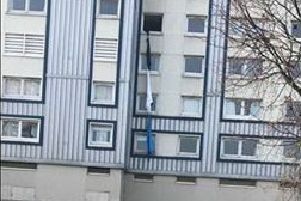 The call for CCTV was made by student accommodation manager Liz Kerry, who recently updated her petition website to say it was “disappointing” that the proposal would not be pursued. But she also expressed a hope that the recent council and police investigation into safety in the Meadows would lead to “positive changes”. City bosses insisted that protecting park users ­remained a key priority for them. Councillor Cammy Day, community safety leader, said: “It is extremely important that residents and visitors feel safe in our city so I welcome the report by the South Central Neighbourhood Partnership and the important issues it raises. November 15, 2011: A 19-year-old woman is grabbed and attacked by two men while walking through the Meadows at around 3.30am. She is then subjected to a sexual assault in an area of ground north of Melville Drive. November 22, 2011: A 21-year-old woman is attacked as she jogs through the park. Her assailant grabs her from behind, next to the Meadows tennis courts, before forcing her to the ground and sexually assaulting her. But she is able to fight the man off and before fleeing towards Buccleuch Street. August 17, 2013: A 20-year-old man is robbed by two men while walking through Middle Meadow Walk. He is grabbed from behind by one man while two others demand his possessions. November 15, 2014: A 19-year-old woman is attacked by a man disguised as a jogger as she walks home in the early hours after a night out. A man is subsequently arrested and charged over the incident.